Looking for something that takes just minutes to whip up but tastes like you spent time slaving in the kitchen cooking? 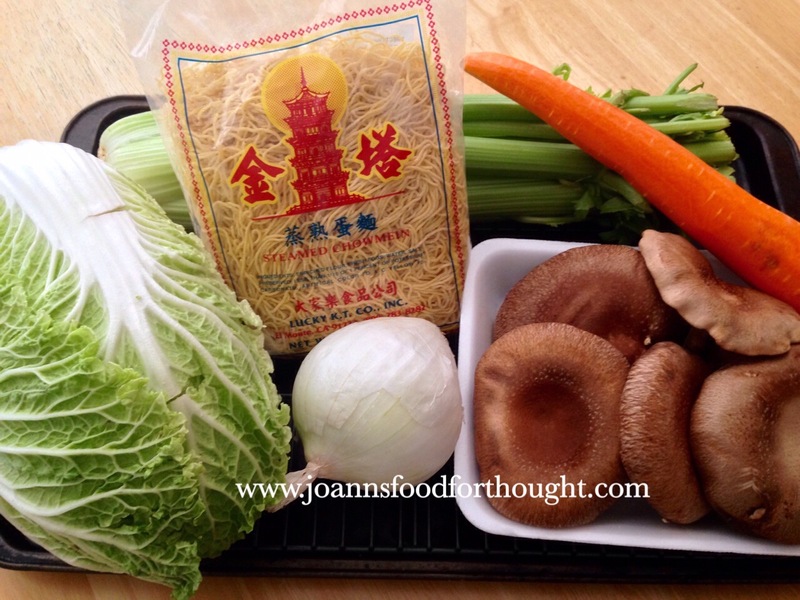 Try my chow mein recipe. You’ll spend most of your time cutting the vegetables. But once that is done everything else takes just a few minutes. 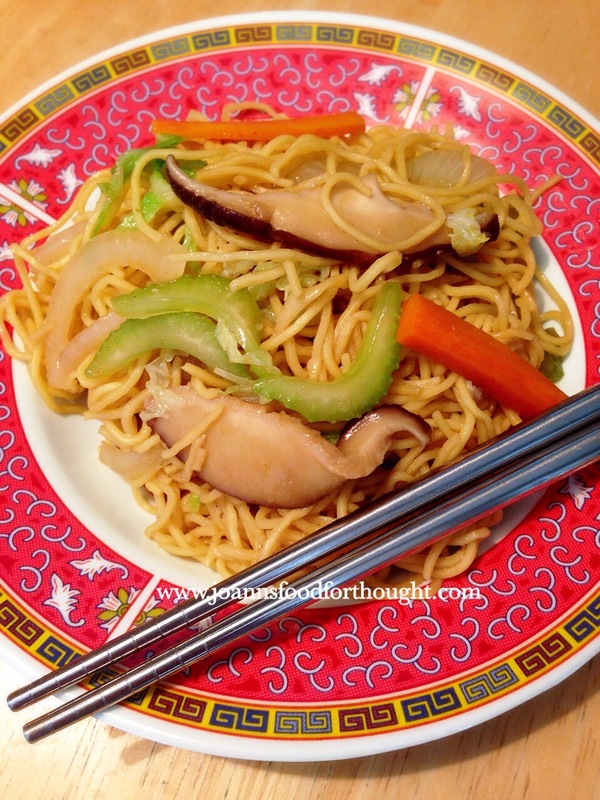 Vegetable chow mein you say? I’m not a vegetarian, so I was surprised how I never missed the meat in this dish. But the proof was my meat and potatoes loving, picky-eater son even enjoyed this. He was first to ask “Where’s the meat?” But after trying it out I didn’t hear any complaints. In a small bowl, whisk together: soy sauce, sesame oil, garlic, brown sugar, ginger and white pepper. Set aside. 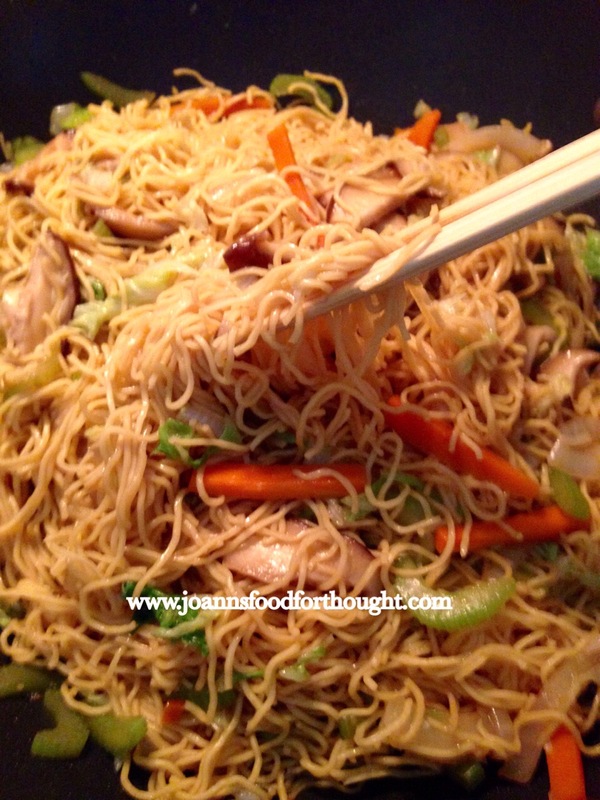 In a large pot of boiling water, add noodles until loosened. About 1-2 minutes and drain well. Heat olive oil in large skillet or wok over medium high heat. Add onion, celery, carrots and mushrooms. Cook stirring often until tender. About 4 minutes. Add in noodles. Be sure to mix well with the vegetables. Stir in cabbage until heated through. About 1 minute. Finally add in soy sauce mixture until well combined. Stir in for 1-2 minutes.